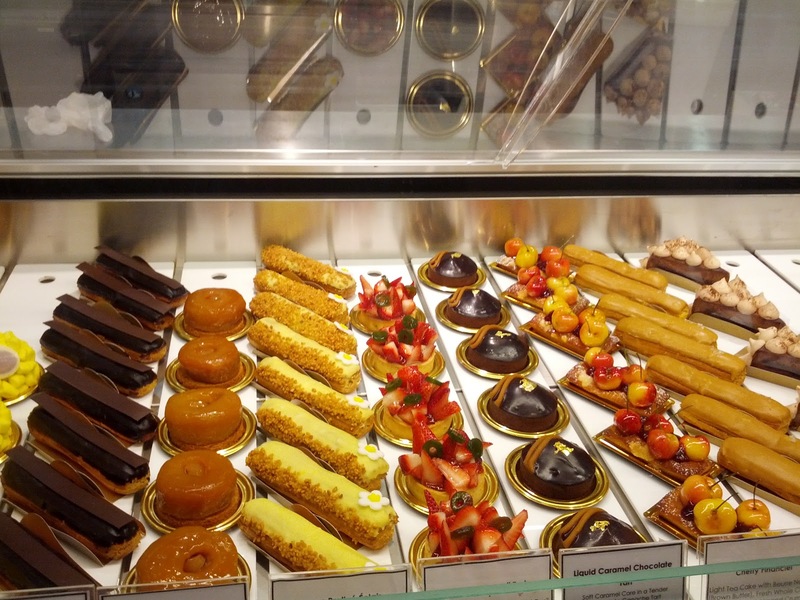 The French are annoying and smelly, among other negative characteristics, yet I must admit they are masters of pastry. Given their sour temperaments and inability to participate in most fields of human achievement, it is actually not surprising that they excel in the pastry arts, for what else could make up for such large deficits in all other areas? I have spoken before of my fondness for La Toulousaine, and today I sampled yet another grand creation. 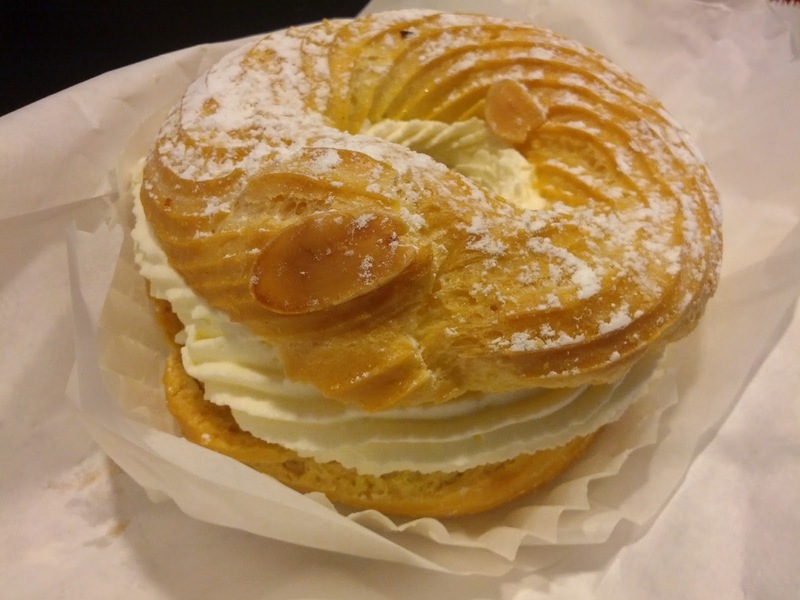 Forgive me for not knowing what it's called, but it was almost like a cream bagel, in a way. The cream was sweet with a heft to it, while still being light. There was also a layer of what seemed to be a coffee cream. The pastry was supple and refined. 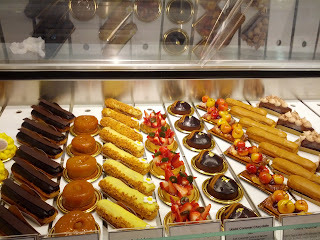 Also, I should like to mention another French pastry shop in SoHo, Dominique Ansel. It is a most delightful little place, and feels like more of a hip Parisian bakery, compared to the more humble and rustic La Toulousaine. Atmosphere aside, Dominique churns out fine pastries. I sampled a salted caramel eclair which was rich, complex and heavenly.